No, you haven’t stepped inside a dream world made of suspended toilet paper tissues. 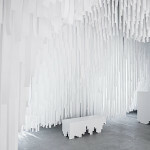 You are, however, inside an ethereal installation crafted by New York–based design studio Snarkitecture and created for the 2015 Salone del Mobile taking place this week in Milan. 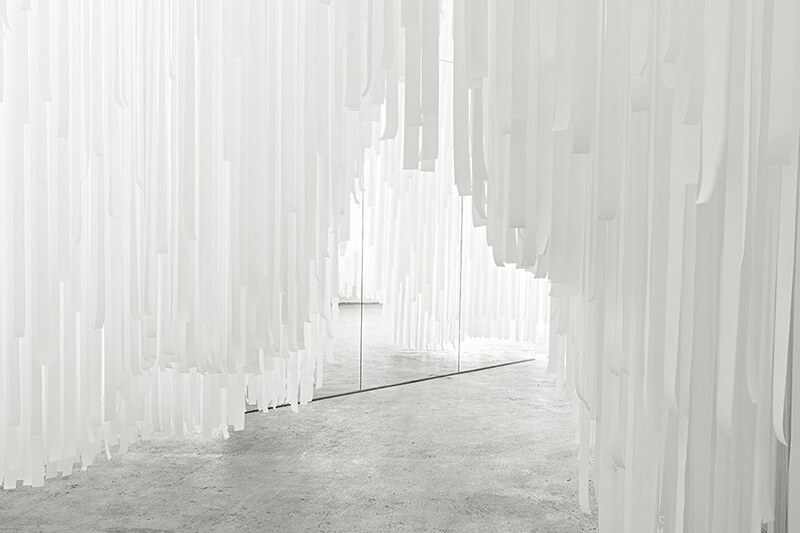 Principles Daniel Arsham and Alex Mustonen crafted this light-filled, monochromatic “cave” for minimalist fashion brand, COS, collaborating with the brand’s in-house creative team. 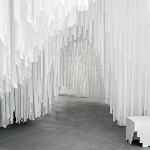 The designers were going for an aesthetic of clean lines and ambiguous spaces, and we’d say they achieved those goals. 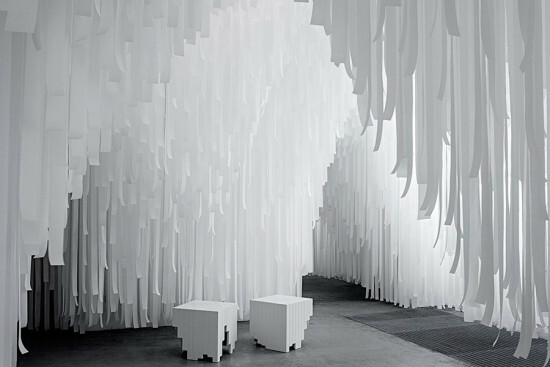 The subtly swaying gradients created by light filtering through strips of fabric create an incredibly peaceful environment appropriate for clearing one’s head after a hectic day at Salone. 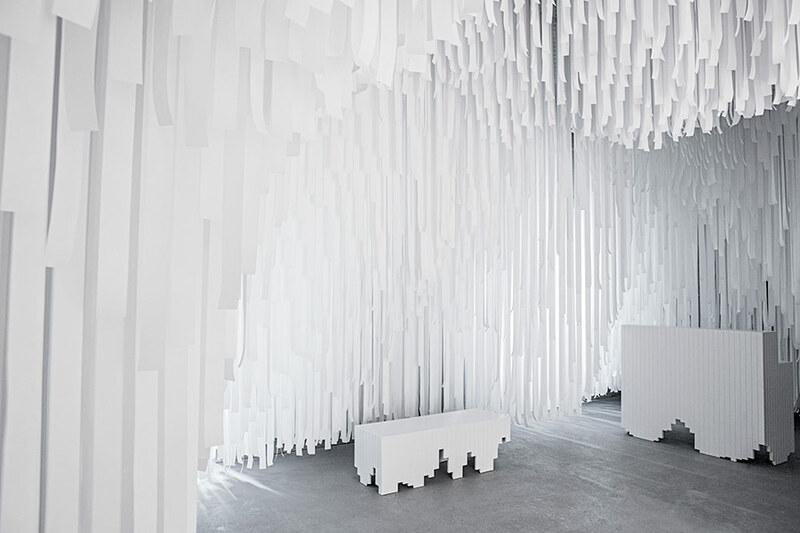 COS’ creative team, headed by Karin Gustafsson and Martin Andersson, chose Snarkitecture for their design approach to “reduction,” and the architects’ work even influenced COS’ Spring and Summer collections. 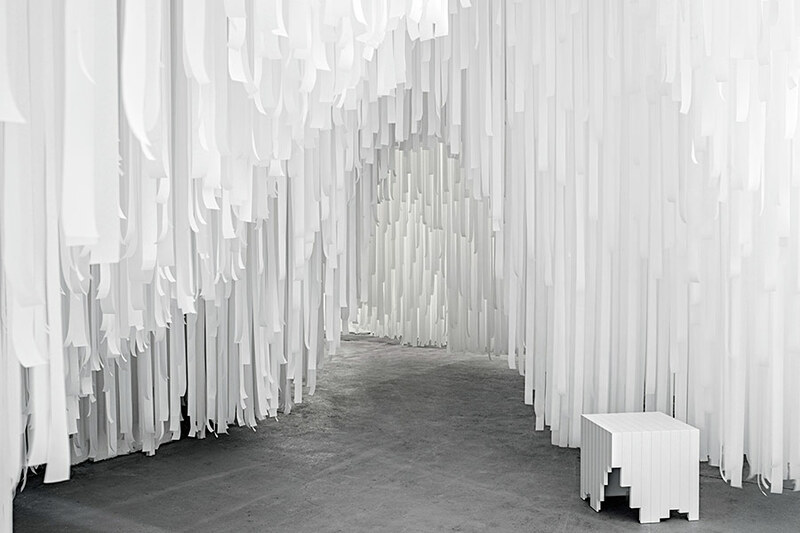 The brand was sympathetic to what Snarkitecture described as “removing anything non-essential and focusing the viewer’s experience.” And in creating this ethereal cave of light, not even a blouse or pair of trousers can be found on display in the space. 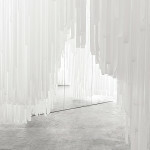 “Without the use of our garments, Snarkitecture have perfectly encapsulated the COS aesthetic, creating an installation that is unique in its simplicity and unexpected in its approach,” Gustafsson said in a statement. 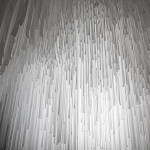 “The final space has a sense of calmness and wonder that we hope visitors will explore and return to,” Arsham and Mustonen said in a statement. 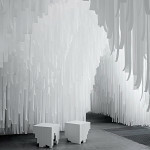 “The undulating spaces and the shifting quality of light seem to create a different experience with each visit.” And while these views show the space in isolated tranquility, the flurry of visitors through the strips will reveal glimpses and continuously change the experience of the cave. 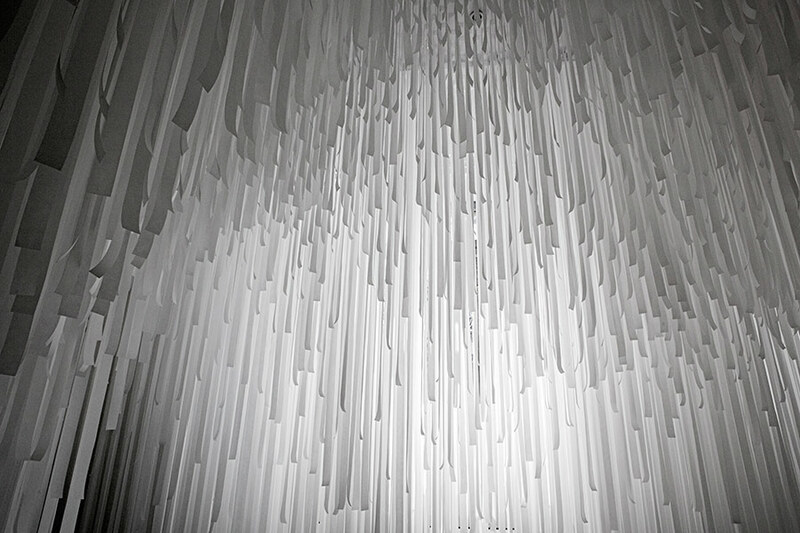 The installation is on view at Spazio Erbe in the Brera district through April 19—or for those of us without a press pass to Milan, here in video and photographic form.